THIS BOOK DEVELOPS A NEW WAY OF READING AND BENEFITING FROM SCHMITT'S LEGAL AND POLITICAL THEORIES. IT EXPLORES SCHMITT'S THEORIES FROM THE PERSPECTIVE OF WHAT I REFER TO AS THE POLITICS OF TRANSITION. 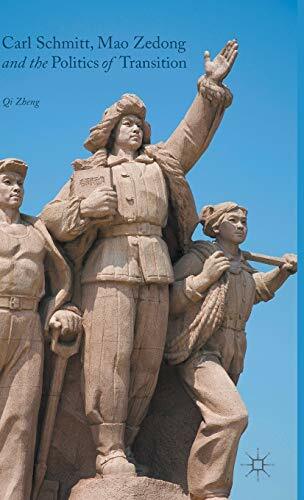 IT ALSO CONTRIBUTES TO IDENTIFYING THE REAL THEORETICAL RELATIONSHIP BETWEEN SCHMITT AND MAO. Dr Qi Zheng has served as a lecturer at the School of Law, East China Normal University (Shanghai, China), since 2011. She holds a BA and an MA in Law from Zhejiang University (Hangzhou, China), and a PhD in Law from the University of Manchester, UK.